Nashville’s top 5 Chrismas sites for Outdoor Christmas lights! Let Outdoor Lighting Perspectives of Nashville create a magical "drive thru" of Christmas lights for your home or business. Of all the places across the country that offer stunning Christmas lights, Nashville, TN is one of the most famous. The town that is known as being the country music capital of the world is making a huge impression as having some of the most beautiful holiday lighting displays in the U.S. We have carefully put together a list of the most magical displays here in the Nashville area that are sure to keep you coming back for more year after beautiful year. 1) Chads Winter Wonderland– Chad Bernard has been decking the halls for his wonderful drive-thru Christmas lighting spectacle for decades. It is known as one of the nations largest displays of Christmas lights with over 2 million lights used in this stunning menagerie of lights. This popular drive-thru display has become a holiday tradition for Tennesseans, and runs from Nov. 24th through Dec. 30th. 2) Shadrack’s Christmas Wonderland– If you are a music lover, this is a must see. Located at Yogi Bear’s Jellystone Park Camp-Resort in Nashville, Shadrack offers visitors a chance to enjoy a drive through LED holiday lighting display that is carefully synchronized to music. This breathtaking montage of music and lights begin on Nov. 11th and run through Jan. 8th. 3) Opryland’s Christmas Lights– This annual extravaganza of over 2 million Christmas lights draws in visitors from near and far. This stunning display of lights, holiday decorations and nativities can even be enjoyed by taking a horse-drawn carriage ride through the display. Who knows, you may even run into a Opryland legend while you’re there as well. Holiday lighting by Outdoor Lighting Perspectives of Nashville. 4) Trinity Music City, USA in Hendersonville, TN- This spot takes visitors on a trip through Trinity City which includes over 1 million Christmas lights located on 30 acres. Your trip will also include a stop at the Trinity Music City Auditorium, as well as the former estate of country music legend, Conway Twitty. 5) Outdoor Lighting Perspectives of Nashville holiday lighting – This location is easy to find, because it can be located at your own home or place of business. 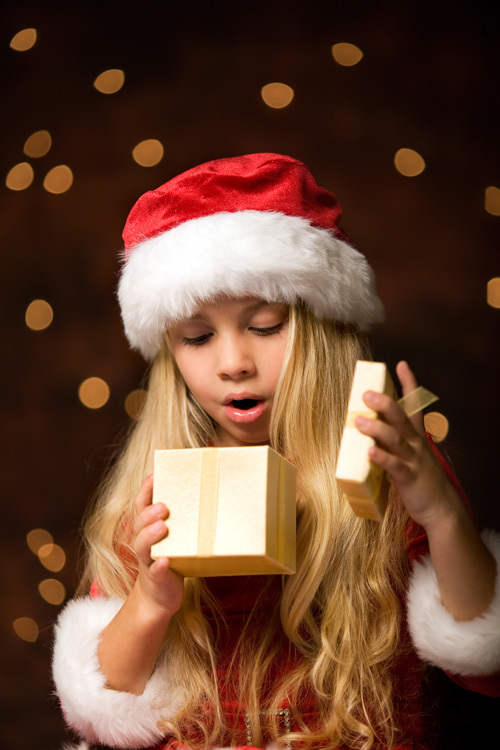 You can enjoy child-like amazement and inspiring Christmas lighting from the comfort of your home with a holiday lighting display designed by Outdoor Lighting Perspectives of Nashville. We can design and install your Christmas lighting according to what inspires you. 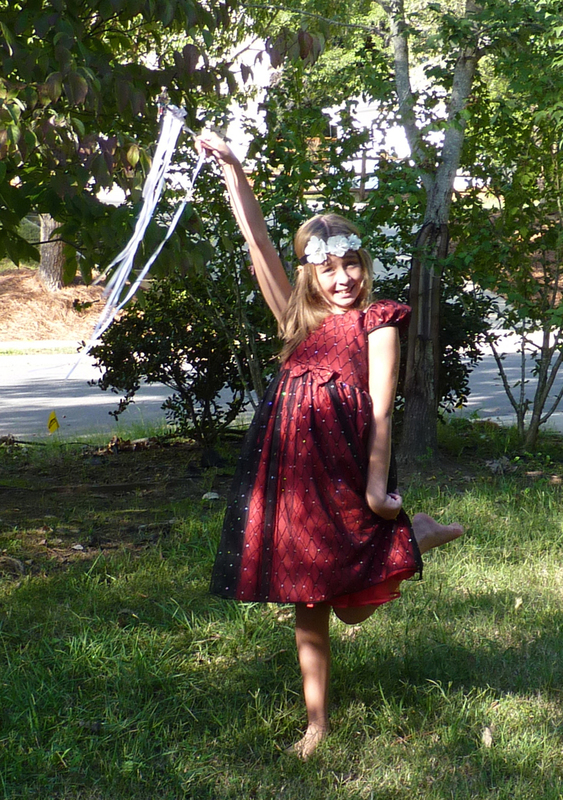 We offer traditional, elegant designs as well as playful and fun designs for your viewing pleasure. We have a vast selection of lights to choose from. After all there is no place like home, especially during the holidays. To see more images of our Christmas lighting, visit our holiday lighting photo gallery located on our website. 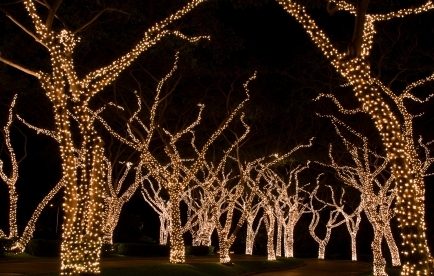 Don’t get left in the dark this Christmas, schedule your Nashville holiday lighting today! Not too many Christmases ago I remember the hot toy on every kids wish list was the “Tickle me Elmo” doll. This little cute and cuddly version of the beloved character from “Sesame Street” was making headlines all across the world. I remember watching the evening news and seeing riots occurring because the stores were sold out of the little chuckling creature. 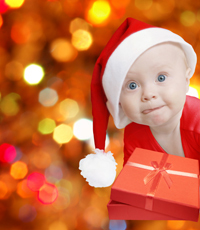 The demand for the Elmo doll simply exceeded the supply and with any great holiday invention, product or service getting the goods early will save a huge amount of stress and even sadness on Christmas morning. Any seasoned holiday shopper realizes the value of getting the “hot” items on everyone’s Christmas wish list first. The same can be said for waiting until the last-minute to schedule your professional holiday lighting design and installation in time for Christmas. 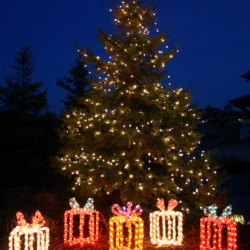 Scoring an installation of well designed professional outdoor holiday lighting this time of year and is based on a first come first serve basis which means that waiting too long may lead to disappointment when it comes time to turn on your holiday lighting. We are already scheduled for installations into November. 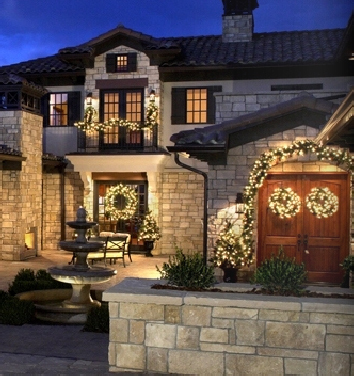 This home shows the use of our popular lighted holiday garlands and beautiful wreaths. 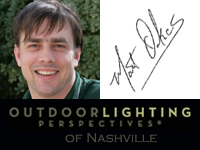 Outdoor Lighting Perspectives of Nashville is a premier designer and installer of residential and commercial outdoor holiday lighting in the Nashville area. Our holiday lighting program involves designing, installing, removal and storing your lights for you in our temperature controlled warehouse. Our program is designed on a first come, first serve basis and we are filling up fast. Last season, our lighted garland as well as our 3 and 4 foot lighted wreaths sold out prior to the advent of the holiday season, so now is the time to schedule your spot in our holiday lighting program so you don’t get left in the dark this Christmas. 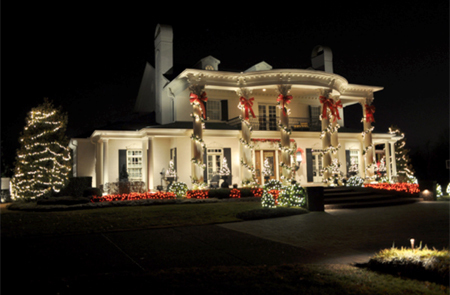 Elegant free-standing lighted outdoor holiday decorations by Outdoor Lighting Perspectives of Nashville. 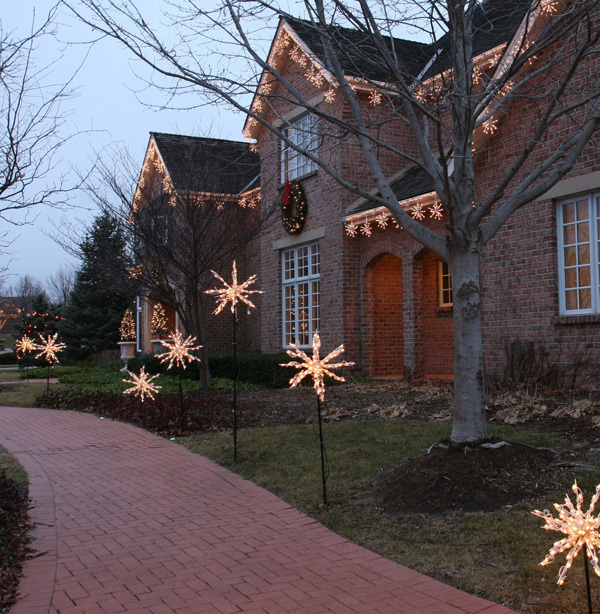 If you are on the fence about scheduling your outdoor holiday lighting now is the time to act. 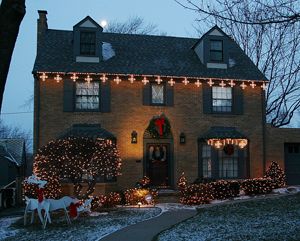 Just like placing your catalog or internet gift orders in plenty of time to arrive and be wrapped and ready for Christmas morning, you want to be able to turn on the switch and be able to enjoy the beauty and joy of your outdoor holiday lighting display in plenty of time for the holiday seasons arrival. Even if you feel it is a little early for your lighting to be installed, our holiday lighting is so elegant, refined and so classic you can turn it on for that special dinner party or pre holiday event and become the bell of the ball by having your holiday lighting installed early. When we install your holiday lighting, we can even install our innovative lighting timers that come on at dusk every evening and turn off at the time of your choice, to aid in effortless and carefree holiday lighting that does all the work for you so you won’t have to. 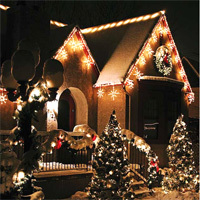 From unique roofline holiday lighting to all out over the top lighted Christmas yard displays, we do it all. 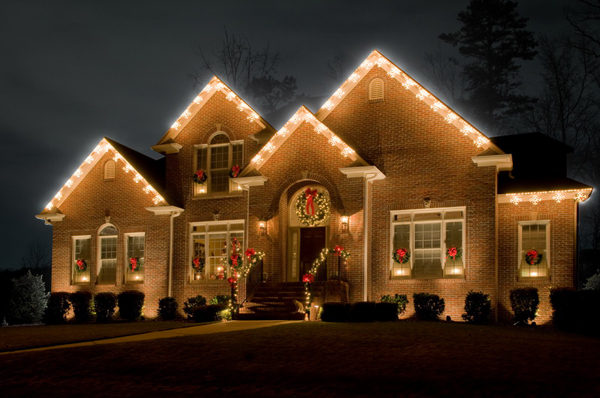 Don't miss out on the magic of outdoor holiday lighting this season. 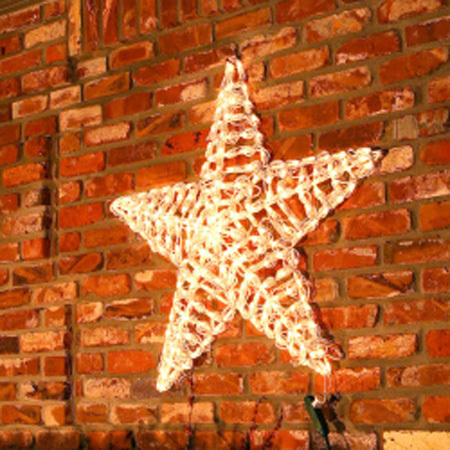 Believe it or not, just this week I talked with our first customer of the year about our holiday lighting program. She had a horrible experience last year with her holiday lighting display. She went with one of our competitors and was very dissatisfied in the quality and the fact that she had to “rent” the display, rather than own it. She was impressed with our program because our customers actually own their holiday lighting display. We discussed wreaths and bows and even decided to add a wreath to each of her home’s dormers and lighted bows at the front of the driveway. We both left the conversation with excitement and anticipation of the holiday cheer that will be present here at Outdoor Lighting Perspectives of Nashville in the weeks to come. If you aren’t familiar with Outdoor Lighting Perspectives of Nashville’s holiday outdoor lighting program, here is how it works in a nutshell. 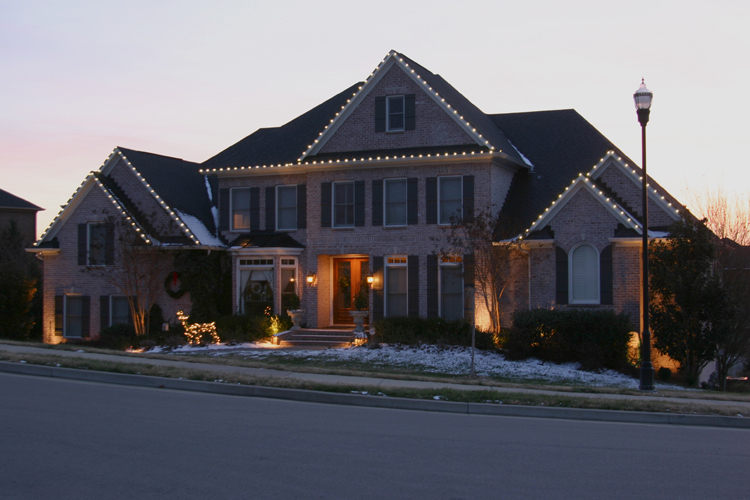 We come out and meet with you to decide on what you want your holiday lighting display to look like. We have a vast portfolio and years of outdoor lighting experience, therefore we can help you if you are undecided about certain things. We then proceed to order the lights you need to complete a stunning holiday display. We assemble the display for you prior to the holidays.Then after the holidays are over, we dis-assemble the lighting display and store it for you in our temperature controlled warehouses in anticipation of the next holiday season. With our method, it is not only a professionally executed display, you also own the lights and this leaves plenty of room to add-on as you see fit from year to year. Right now we are offering a discount on new clients and current clients that order additional lighting products that sign on with us and have the lighting installed before Halloween. This may seem early, but actually setting up your display by late October is prime time, plus you get the added luxury of having the capability to light the display on Halloween night creating an ultra-safe scenario for the neighborhood trick-or-treaters. Who knows, maybe you can add some holiday cheer to the neighborhood on a night fit for ghouls and goblins! We use a great deal of C9’s in our displays when the customer prefers this. This light is very big for a couple of reasons. Because of their beauty, they lend a classic and traditional touch to any lighting display and they are LED so this means they are easy on the pocketbook as they are on the eye. One really great opportunity to take advantage of is by booking early in order to start your installation by mid-October. 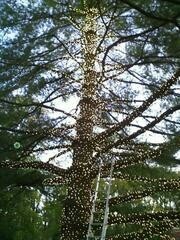 We can install these lights in the trees (called wraps). Then we can get the lighting done and have you powered-up right after Thanksgiving in time to start the holiday off right. Your lighting system will come complete with a timer that you can set to literally light up at 12:01 AM on the day after Thanksgiving. (Black Friday could turn into bright Friday at your house). 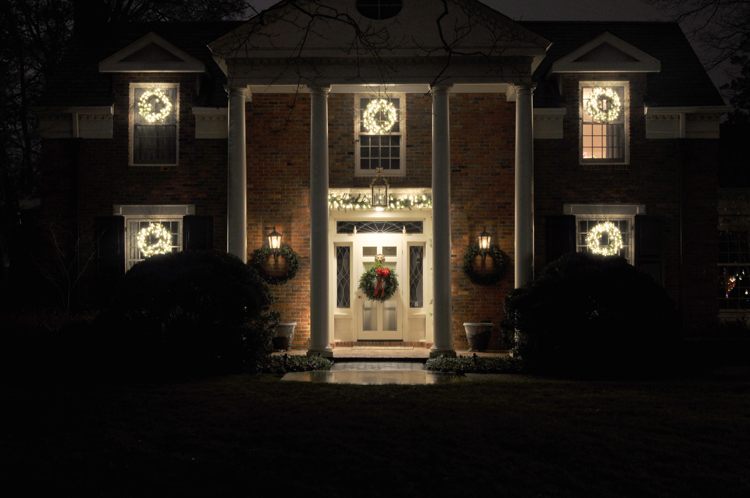 Outdoor Lighting Perspectives of Nashville not only has the advantage in the beauty and elegance it pours into its holiday lighting displays, we also offer a competitive edge. Your lights are yours from year to year. They are ordered new. They are not a rental and you have the capability to add-on at your own pace and taste. When the lights are rentals, they are previously used and you have no way of knowing how old they are, or how safe. Candy canes are synonymous with Christmas. Even though I don’t even really like candy canes, I can’t help but at least buy one box each Christmas. If you’re looking for candy canes these days, you can find just about anything. They have ultra tiny canes, ultra huge canes, the traditional red canes, and every color you can imagine. 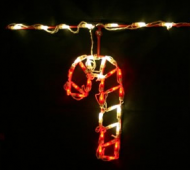 We have a great line of candy cane lights for Christmas. At this point, we wouldn’t have time to install more in time for this year’s Christmas but I wanted to show you some of the more popular ones. Perhaps if I installed these at my house next Christmas, I wouldn’t feel the need to buy that box of candy canes each year. 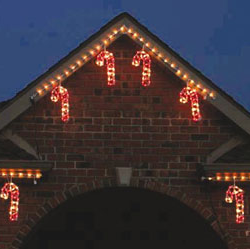 Our line has candy canes lights for decorating the outside of your house as well as LED candy cane lights for your yard. Take a look at this whimsical theme using all LED lights. Even the dormers have a couple of candy cane lights on them. As I said, it’s late for installing holiday lights this season but next season give us a ring early to install your lights. We have so many different themes in addition to this theme. 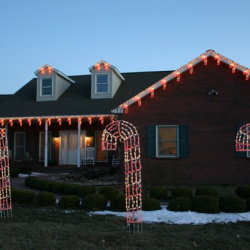 Our program includes installation as well as take-down and storage of your lights. You get the best and most interesting and unique product on the market and you don’t have to do any work. 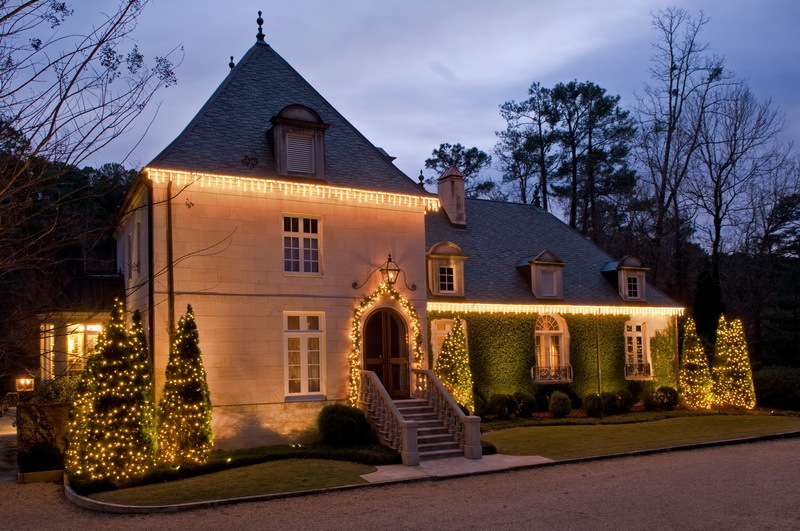 Going into 2010, count on us for all your traditional outdoor lighting needs. We design and install outdoor architectural lighting and outdoor landscape lighting. Our lights come in low voltage or LED or a combination of both. Outdoor lighting is all we do. We’ve been doing outdoor lighting for the greater Nashville market for over 20 years. Give us a ring for a free design consultation for your home.